A warm welcome to all of the members of our Aroma Tours Newsletter in more than 35 countries around the world. Robbi and I have just returned from a wonderfully successful week in San Francisco presenting at the PIA conference and visiting several of our dear friends in the USA. We are greatly looking forward to the start of this year's tour season which is continuing to be on track to become our best year ever! Robbi and I invite you to join us for one of our Aromatic Adventures and share our passion for the beautiful places we visit and the delightful experiences we have created for you to enjoy. During the Victorian bushfire tragedy last month, we received many emails and phone calls from people all over the world offering their prayers and support. Thankfully we are not in a high fire risk area here in Ballarat and were quite safe but nonetheless we were very touched and grateful for the kind concern we received. Out of these sad circumstances where lives and even entire towns were lost, have come amazing stories of survival and heroism. Apart from apocalyptic scenes of nature's fury there were also images of community and caring, and moments that reminded us all of the gifts we have all been given. The response both in Australia and around the world has been magnificent and as I write, the re-building effort is beginning in earnest. Once again we thank you for your prayers and kindness. We have added another page of memorable photos for you to enjoy that were kindly contributed by Amos Rostas and Barbara Yaffe from Canada who joined us for our Essential Provence Tour last year. During our Turkish Aromatic Odyssey in 2006 we had one of the most memorable experiences of our lives. Robbi has always loved birds and on this particular morning, there we all were in jackets and beanies watching a forest of brightly coloured balloons rising out of the landscape in the pre-dawn light. We climbed aboard our craft and after a few excited moments, time seemed to be holding it's breath. Then, gentle as a feather we were flying; admittedly only 1 inch above the ground at that point but for Robbi who has wished to fly in a balloon since her childhood it was a revelation and the look of shear joy on her face, as her long held dream came true is one of my most precious memories. Our joy rose with us skyward as we ascended above the magnificent Cappadocian landscape, rising along with the sun as it bathed the scene below us with golden splendour. We drifted and soared above spectacular valleys, fairy chimneys, flocks of birds and ancient vineyards. Took hundreds of photos and laughed and laughed and laughed. Two of our group were balloon pilots back in Australia and the conversation turned to how skilful our current pilot Ahmed was at performing his manoeuvres. To prove his point, Ahmed did what to our other pilot friends was the impossible, by landing our balloon directly onto the support team trailer as shown in the photo above. What a guy! If you would like to see some more photos of our flight please visit the first of our Turkey Tour Photos 2006 page. Each May as we return to spring in Italy we are welcomed by a riot of colour from mauve wisteria, blood red poppies, egg shell blue irises, golden fields of canola, the vibrant blue of flowering rosemary and sage and the mantle of vibrant green meadows - absolutely wonderful. As well as nourishment for the eyes, life takes on a different pace with long lunches in beautiful hilltop villages, wonderful coffee, delicious wines, truffles, pecorino cheese, porcini mushrooms, prosciutto, fresh pasta..... ( so many wonderful tastes ), laughter and the fine Italian art of ”dolce fa niente” - sweet doing nothing! Our journey is also about absorbing the richness and passion of Italian life and savouring its cultural heritage, evident in the art, architecture, pageantry, festivals, fashion, design, craftsmanship and joy for life. We are all destined to be transformed, which is the magic of this wonderful place. Feeling more Italian moment by moment, speaking more enthusiastically, smiling broadly and even display a bit of emphatic arm waving! Italy is a land of great heart and contradictions where we immerse ourselves in the sublime craziness of fast cars and slow food, high heels and cobble stones, medieval hilltops full of life and colourful inhabitants going for their evening promenade. It is a veritable feast for the senses and to be there to watch and share in this wonderful dance of the Dolce Vita is a balm for the soul. 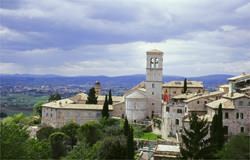 There are still places available for both our Aromas of Tuscany and Flavours of Italy tours and if you would like to join us this year as we explore Italy's perched villages, rolling hills, delicious food and wines, rich culture and joy of life we invite you visit our Information Request Page for more details. 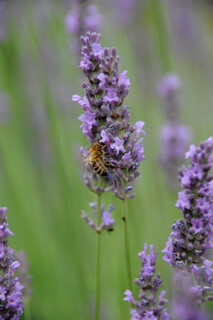 This year marks the end of an era and heralds an exciting new beginning for our Provence Aromatherapy Retreat. After more than 10 years of teaching for us, Dr Daniel Penoel has decided to focus his energy on his clinical practice in France and as a result, 2009 will be the last opportunity for you to experience Dr Penoel's passion, enthusiasm and knowledge of aromatherapy with us in France. This year we are excited to be welcoming inspirational and renowned aromatherapy educator Michael Scholes who will be sharing his broad knowledge and experience of aromatherapy with us. Robbi will also be presenting some of her latest work following on from her recent presentation at the PIA conference in San Francisco. Her unique approach to aromatherapy is rapidly gaining in popularity and we are thrilled to see the enthusiastic response to her work. We are very pleased to announce that our guest driver in Provence this year is our dear friend and highly renowned professional photographer, Bill Bachman. Bill has worked for National Geographic and spent many years as an official photographer for the Winter Olympics, as well as several very successful coffee table books and a busy professional career. It will a great treat to have two of our closest friends with us this year to share their delightful personalities, sense of fun and warm heartedness with us all. One of the main reasons that we continue to grow and flourish, is the on-going support we receive from our past Aroma Travellers. This year we are enjoying the largest number of returning guests we have ever had, making up 26% of our total numbers. For Robbi and myself, it is such a great delight to be welcoming back so many good friends. Our thanks also, for your lovely messages of appreciation. It is a great joy for us to receive them and we have compiled a Page of Guest Comments from 2008 to remind us of the wonderful times we have shared together. Almost all of our tours are now close to being fully booked and with the busiest time of year now upon us we expect that more tours will be joining the "bookings closed" ranks shortly. If you would like to join us this year or if you have any questions, please do get in touch with us shortly either by email at info@aroma-tours.com or by phone on: +61 3 5331 3254 (afternoon/evening USA time zones, mornings from other countries). From the USA/Canada the "international dialling prefix" which replaces the '+' in our phone number is 011, from most other countries it is 00. Part 1 - La Champagne: Wine of Kings; Louis IV and Dom Perignon; Claude Moet, Madame Pompadour and le champagne. Part 2 - The Reign of Terror; Napoleon and Jean-Remy Moet; Napoleon III and The Industrial Revolution; Veuve Clicquot-Ponsardin; Sitting on Top of Golden Hours. Part 4 - Blood Amongst the Vines; The Re-birth of Dom Perignon; Champagne Triumphs. 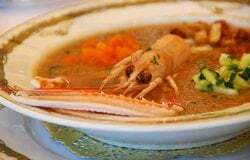 In all of our journeyings it is our desire to share the joy of experiencing authentic, delicious cuisine and the gastronomic traditions of the regions we visit. Freshness, practiced skill, care and pride in preparation, combine in a myriad of ways to bring us moments to savour: delicious homemade vegetable soup with mountain views; artfully prepared gastronomic delights in a beautiful garden; freshest seafood overlooking the Mediterranean; the bustle, smiling faces and colour of a typical trattoria; the finest of flavour concerts, with food and wines matched to perfection as the sun sets across a magnificent lake; the subtle marriage of European and Asian flavours; delicious, hearty country fare; spices, herbs and freshest ingredients that bring another layer of flavour for our senses to enjoy. It is a challenge to express the delectable moments we share but hopefully your eyes will enjoy nibbling on some Photos of Our Meals. 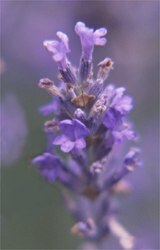 In our September newsletter we proudly announced that our new Provence Lavender Tour has gained the accolade of being featured in Frommer's directory. And now, we are thrilled to add the exciting news that the world's premier bicycle race, the Tour de France, will be passing right through our beautiful village amongst the lavender fields during our stay! Every year the excitement that surrounds the Tour's progress can be felt in the bars at night as the locals gather to watch the end of the day's stage and try to predict who will be the proud wearer of the yellow jersey. To witness this great bike race first hand will be an unforgettable experience and Robbi and I are excited that we will be sharing this fantastic event with our guests in such glorious surrounds. So for the Aroma Travellers joining us this year amongst the fragrant purple fields, our Provence Lavender Tour is going to be an even more exceptional feast for the senses. For more information please visit our Information Request Page and if you have not already done so, we invite you to take a peek at our Provence Lavender Tour Photos - sans velos. Over the years the circulation of our Aroma Tours newsletter has grown to more than 6000 subscribers and in these days of filters and anti-spam software it is becoming increasingly more difficult to be sure that our email will arrive safely in your inbox. There is of course good reason to have this filtering, however, as a consequence we recommend that you add our email address info@aroma-tours.com to your address book or allowed email list to help ensure that our newsletter will continue to be delivered to you successfully. If of course for any reason you would prefer to stop receiving our newsletter please don't hesitate to email us at info@aroma-tours.com to unsubscribe. "Through travel we discover that we all belong to the same family." Please note you need to replace the '+' in our phone number by your country's international dialling prefix: from the USA/Canada it is 011 from most other countries it is 00.